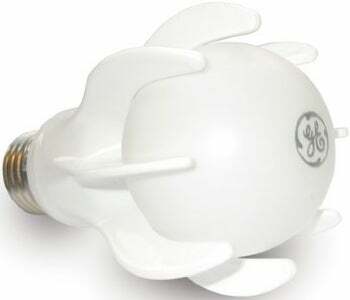 GE has developed a new type of LED light bulb that it claims lasts for up to 17 years. GE says that these new light bulbs can provide just as much light as a 40-watt incandescent lightbulb, while consuming only nine watts of electricity. The bulb's odd design actually has a purpose: Those “armor spikes” (okay, they really aren’t, but how else do you make a light bulb sound cool?) that surround the light bulb are intended to help project the light toward the areas you want to light. As you might have expected, these bulbs won’t come cheap. While your average light bulb may come in at around 3 or 4 bucks apiece, these LED light bulbs are estimated to cost around $40-50 dollars each. These funky, near-immortal light bulbs should hit the market later this year. So, if you run the bulbs for 4 hours a day, they’ll last for 17 years – and that gives you more than enough time to pay them off. Despite the relatively hefty price tag, GE says that they do expect there to be a market for them aside from eco-friendly consumers like you and I. Follow GeekTech on Twitter or Facebook. Now that's a bright idea.